It might remind you of a game for quietening down children, where they lie down on the floor and try to remain still while someone tries to disturb them. But although these sleeping lions might look exceptionally cute now in the sunshine - they would probably look a lot scarier if you tried to wake them up. 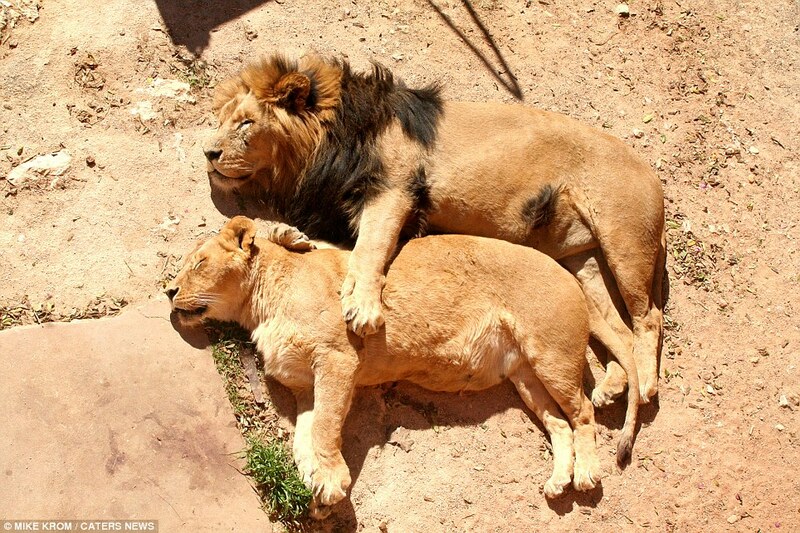 The adorable moment two big cats settled down for an afternoon snooze in the sun was captured on camera by British photographer Mike Krom. They looked at ease in the Portuguese sunshine at Lisbon Zoo, and at one point the larger male gently put one of his paws on the other lion.